PeopleGoal | How do I set a goal? All goals require a short description, long description and a due date. 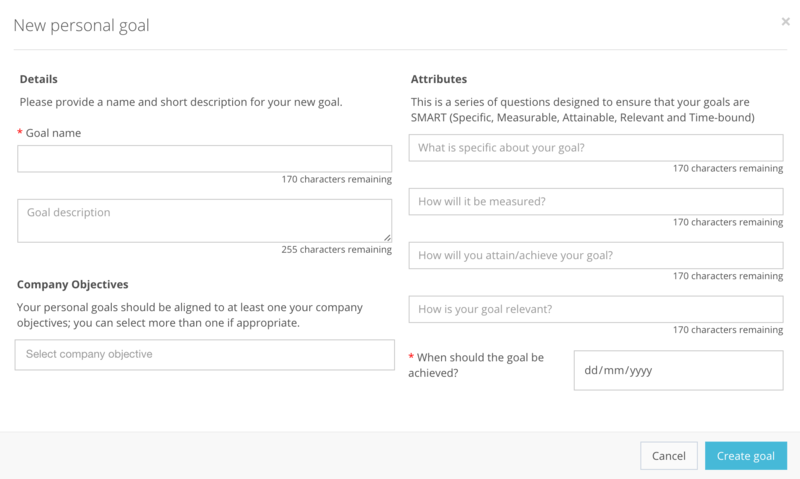 You can also refine your goal by setting SMART attributes. What is specific about your goal? Is it relevant to your job? When will you achieve it? 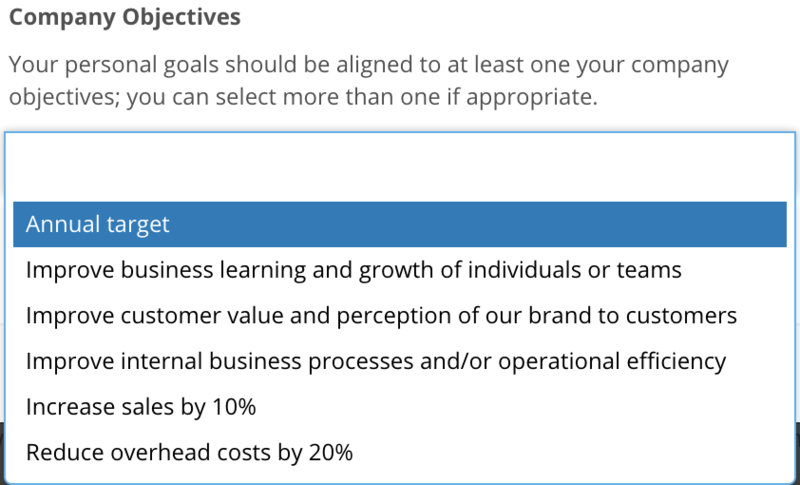 You can also choose to set OKRs in PeopleGoal. 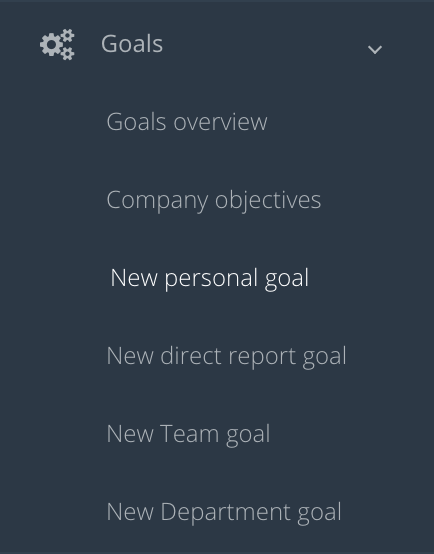 These can be configured under 'Account Settings > Goal Settings'.